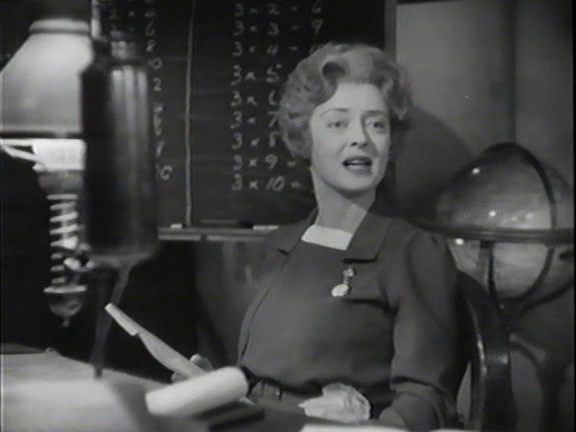 Upon moving to the Welsh countryside, a schoolteacher (Bette Davis) decides to establish a classroom in her own house to help teach the village children. One student (John Dall) stands out as particularly gifted, and she helps him begin preparations to attend Oxford — but the tarty daughter (Joan Lorring) of her housekeeper (Rosalind Ivan) has other plans in mind for Dall. 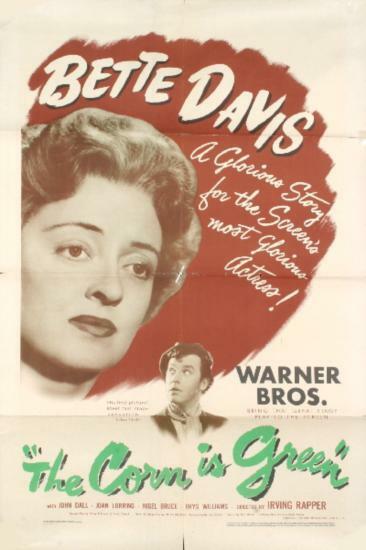 Irving Rapper directed Bette Davis in no less than nine films, including this adaptation of Welsh author Emlyn Williams’ semi-autobiographical play about a gifted young coal-miner attempting to gain entrance into Oxford. The storyline is often overly theatrical, and certain scenes (such as when the coal-miners sing impossibly beautiful ditties while walking to and from work) come across as heavy-handed — but Davis is such a nuanced and compelling actress that she consistently elevates the material, helping us remain invested and engaged throughout. 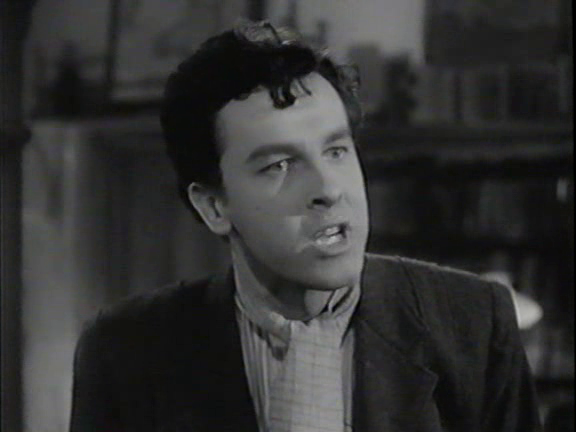 In his film debut, Dall (best known for his starring roles in Hitchcock’s Rope and Joseph Lewis’s Gun Crazy) received a Best Supporting Actor nomination, and does an impressive job portraying his character’s deep sense of conflict; it’s easy to understand why this strapping young man would both appreciate and resent the attentions paid to him by Davis. However, I’m less enamored with Lorring’s performance as a trollop who sets a key plot hitch in motion: while Davis apparently hand-picked her for the role, I find her performance overly broad; sure, she’s written as a no-good femme fatale whose very mother confesses to not liking her when she was born (poor thing! ), but she’s a tad too one-dimensional in her sociopathic glee for my tastes. A once-must, as a fine film indeed – with all of the necessary uplifting elements falling into place. What a treat to see this film again! It had been so long. And how refreshing to be reminded that this is not merely a Bette Davis vehicle – meaning, she does not run the show here. Don’t misunderstand that: Davis gives an indelible performance, unlike any other in her career. But even though hers is the main role, Davis is generous enough an actor to realize that she is part of an accomplished company of players brought together under Rapper’s keen directorial guidance. This is a film which can refill you with a love of knowledge & the world of ideas – and, to me, that is quite a good thing. Davis’ Miss Moffat knows quite well what a miserable thing the world can be when left to its own devices. She is all about rising above, thirsting for higher things. It’s not that she looks down on ‘the lower class’ – but she longs to be among kindred spirits…and those are the ones who desire to learn as much as they can. Davis plays Miss Moffat with heart. You like and admire her. But she is also as serious as the day is long and has no time for nonsense; it doesn’t upset her – she just doesn’t see the point. To her, learning builds character – and it has certainly created hers. It’s interesting that Davis is practically sexless in this film. It’s almost like her character is simply beyond things of the flesh. As a result, we see Miss Moffat somewhat more completely as a person, unhampered by any kind of personal relationship that could get in the way of creating a kind of ‘pure’ individual. Of course, she may have just seen that as her lot in life: spinster and all that. But, unlike many spinsters (the very word seems to usually spell defeat), she has redefined her situation as an opportunity for fulfillment…of a different kind. I think Rapper gets fine performances from the entire cast, and he is very careful as he either guides his actors through each character’s growth or realizes that some characters simply never change. ‘TCIG’ is served up with a great deal of sensitivity. It is a finely crafted work that, with its conclusion, should simply make you feel all the better for having watched it and felt what it has to offer.